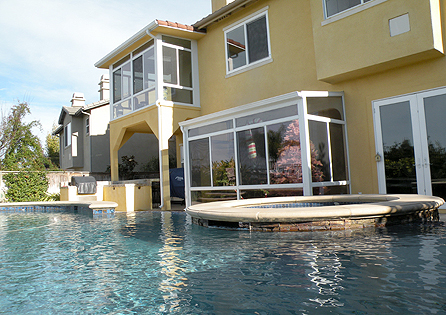 Experiencing the beauty that Southern California can offer should not be limited by the design of your home. 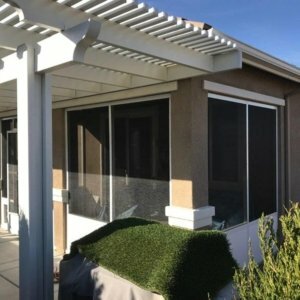 Improve your home by adding patio, a deck, or in the case of this client, a stylish sunroom. 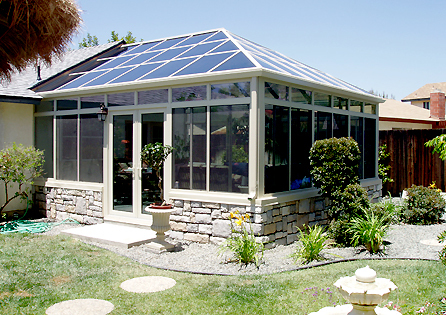 Some Southern California homeowners looking to add the sunroom of their dreams often find the rooflines of their home incompatible with their desired style. 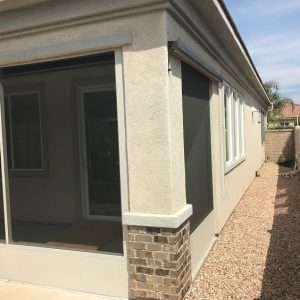 But with Sun Boss, you can be assured that our sunroom experts can design the room and match it perfectly with your existing structures. 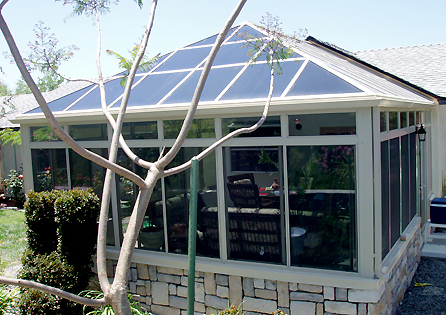 The clients, Bruce and Amy, had a love for the 230 Georgian Conservatory; however, their roof line sloped to the back of the house, and there was not enough height to accommodate the new conservatory. 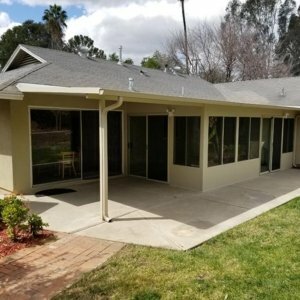 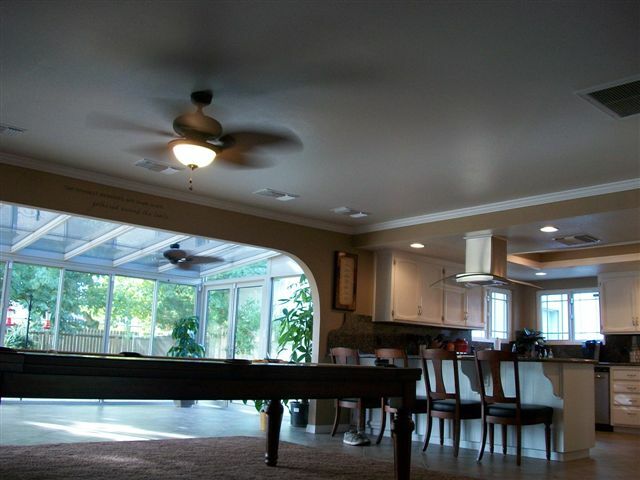 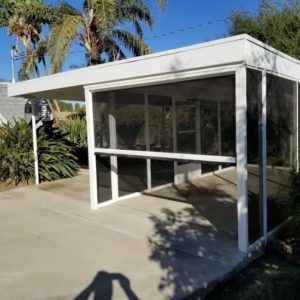 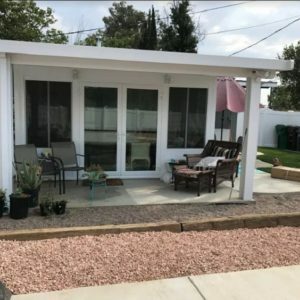 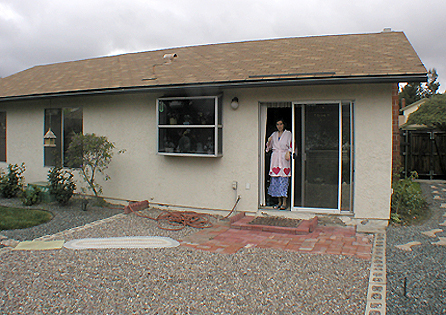 Through proper design and modifications to the existing roof line of their home in Santee, Sun Boss added in a California connection that allowed for the built of the new conservatory. 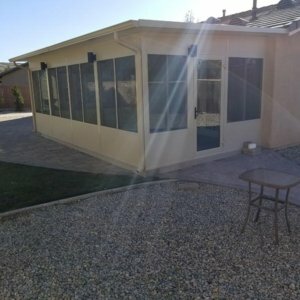 The clients were so pleased that they are finally living their dreams, and thankful for Sun Boss which turned their dreams into reality.